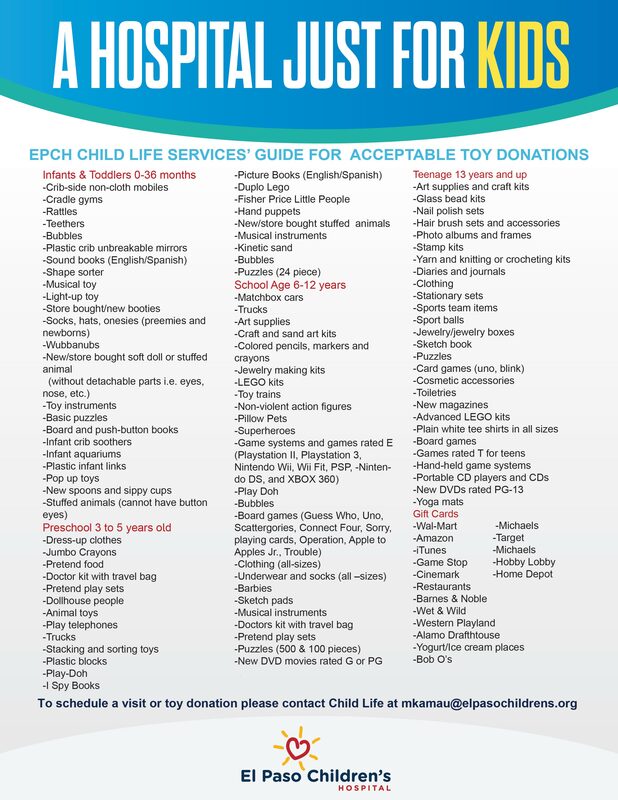 is dedicated to assisting El Paso Children’s Hospital deliver the highest quality of care to our community’s youngest residents by providing support for the tools, resources, equipment and care that make the hospital so unique. Through its outreach, the El Paso Children’s Hospital Foundation hopes to inspire the community’s passion for giving and match their goodwill to the hospital’s vision and needs. Dollars raised by the El Paso Children’s Hospital Foundation stay right here at home. Every penny counts and can help save the life of a child right here in the community. Monies raised help support treatment, research, health-related programs, as well as capital equipment needs. Since the opening of the hospital, more than 1 out of 3 children in the community have been served by the hospital and the support of the El Paso Children’s Hospital Foundation. There is no investment more powerful and meaningful that one can make in the health and happiness of local children than by supporting El Paso Children’s Hospital Foundation. 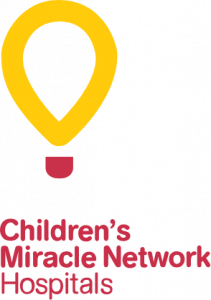 El Paso Children’s Hospital is a proud member of the Children’s Miracle Network and participates in the organization’s annual fundraising campaign. Children’s Miracle Network is an international nonprofit organization dedicated to raising funds for and awareness of Children’s Hospitals. When in the community, please be on the lookout for the merchant balloon campaign. Purchasing a balloon, for as little as $1, can make a significant impact on the health and wellbeing of the community’s youngest residents. Since 2009, with the support of generous donors throughout our region, El Paso Children’s Hospital Foundation has raised more than $19.4 million from events, grants, major gifts, pledges and merchant balloon campaigns. Donors to El Paso Children’s Hospital Foundation give in a variety of ways. Whether individuals choose to make a cash donation or decide to leave a legacy gift in their will, as a donor one has the power to determine how the gift will be used.